*No animals were harmed in the posting of this post. Moxie does not condone animal cruelty nor does she approve of most Mafia tactics of intimidation. Some are ok though. 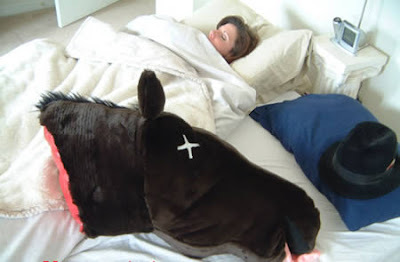 *shudders* That horse head is creepy! What kind of commenter are you? Adult Easter Egg Hunt Suggestions?